↑ Swami, Praveen (Nov 1997). "Jallianwala Bagh revisited: A look at the actual history of one of the most shocking events of the independence struggle". Frontline (India) খণ্ড 14: পৃষ্ঠা 1–14. http://www.frontline.in/static/html/fl1422/14220500.htm. ↑ sikhhistory.com. "Shaheed Udham Singh (1899-1940)". http://www.sikh-history.com/sikhhist/personalities/udhams.html. ↑ Sikander Singh (2002). Pre-meditated Plan of Jallianwala Massacre and Oath of Revenge, Udham Singh alias Ram Mohammad Singh Azad. পৃষ্ঠা. 139. ↑ Academy of the Punjab in North America. "Shaheed Udham Singh (1899-1940)". 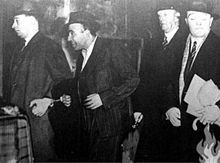 http://www.apnaorg.com/articles/udhamsingh/. ↑ Dr. Fauja Singh (1972). Eminent Freedom Fighters of Punjab. পৃষ্ঠা. 239-40. ↑ Singh, Sikander (1998). Udham Singh, alias, Ram Mohammed Singh Azad: a saga of the freedom movement and Jallianwala Bagh. B. Chattar Singh Jiwan Singh.